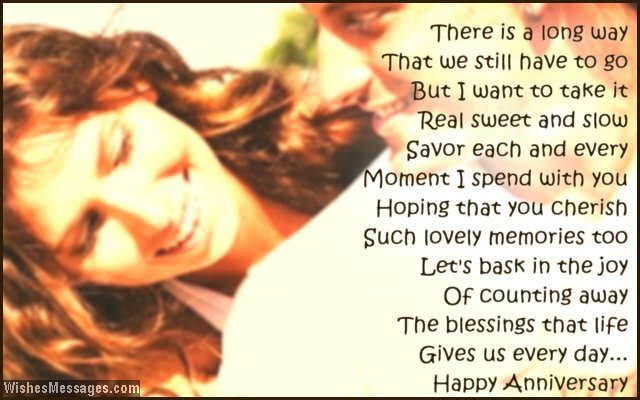 First Anniversary Poems for Wife: Your 1st wedding anniversary calls for a grand celebration. You can splurge on a massive party with friends and family or you can whisk your wife away for a quaint romantic outing. 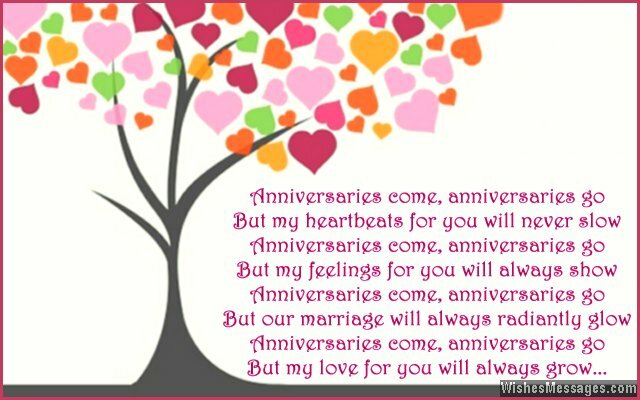 Whatever you do, make sure you mark your marriage anniversary with a sweet poem that touches the right chords in her heart. Hold her hand, gaze deeply in her eyes and use the power of words to express your undying love. 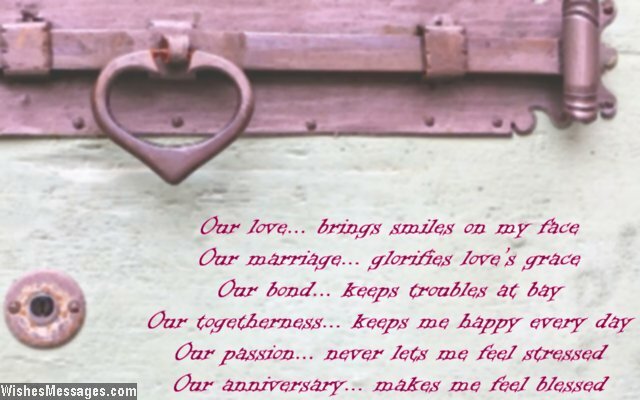 Let your cute rhyme speak volumes about how beautiful you think your marriage is. Top your romantic antics off by doodling quotes and messages on a heart-warming handmade card – it will become her life’s most prized keepsake.